With almost 20+ years’ experience in the real estate industry, Cathy credits her exceptional real estate property expertise to her commitment and passion for people and property. When looking for reliable advice from a hard working industry professional look no further than Cathy. Building her real estate Property management career on the foundation of hard work, genuine care and commitment to get you the right result, Cathy’s approach is transparent, organised and structured to ensure every detail is taken care of. 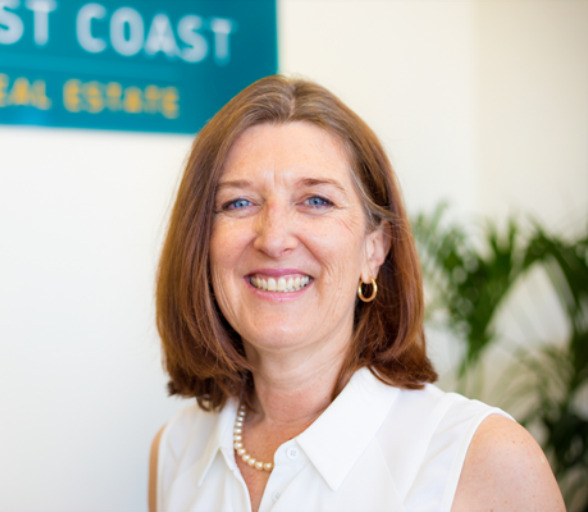 Whether it is assisting clients with the process of leasing their investment property or helping tenants find a new home, Cathy is committed to achieving excellent results. Motivated, approachable and professional, she enjoys the opportunity her role gives her to meet and form relationships with people and thrives on finding the best solutions for their current situation. If honesty, empathy, and a professional approach are important to you then Cathy can ensure your next real estate experience is a stress-free experience! Cathy from WCRE has managed several of our residential properties over the years and we are constantly thankful for the professions, efficient and hassle-free manner in which she manages our investment. We have properties outside of Perth and find it difficult to secure a Property Manager who matches Cathy expertise. It is my utmost pleasure to write a little blurb about West Coast Real Estate. It is so rare to find a company that takes care of your home as if it was their own. West Coast Real Estate, Mark Cribbon sought out a fabulous professional tenant and Cathy Hayes was appointed my property manager. I would like to especially thank Cathy Hayes for the exceptional service and support she has given throughout the year. She always keeps me in the loop with concise and detailed property reports, attending to any matters urgently, resolving the slightest issue quickly and keeping the tenant happy. Moving East is never an easy time with family and the last thing to worry about is renting the family home. Thank you so much Cathy and Mark for your professional support and taking great care of our family home. I can highly recommend your services to any prospective clients. Cathy was managing our property for a number of years, and we were very impressed by the level of service we received. We found her to be very thorough, understanding and professional at all times. She was always friendly and helpful and communication has been excellent throughout. I would have no hesitation at all in recommending Cathy at West Coast Real Estate. The team at WCRE are exceptional in all areas. When I first moved to Perth as a tenant Cathy was my Property Manager. She was always friendly, prompt and efficient and courteous, she was so good that when I became a property investor I knew I could trust her to select tenants and look after my house. As a smaller sized agency, I have become known to all the staff and Mark makes sure the service is personalized and high quality. I recently listed my house for sale with Mark, partly because of my strong relationship with WCRE, but mostly because I believe that Mark’s knowledge, service and ethical approach to sales is outstanding. I wouldn’t hesitate to recommend WCRE to family and friends for real estate services. Displaying: 1 - 6 of 6 properties.